October 2nd marked dad’s 87th birthday. 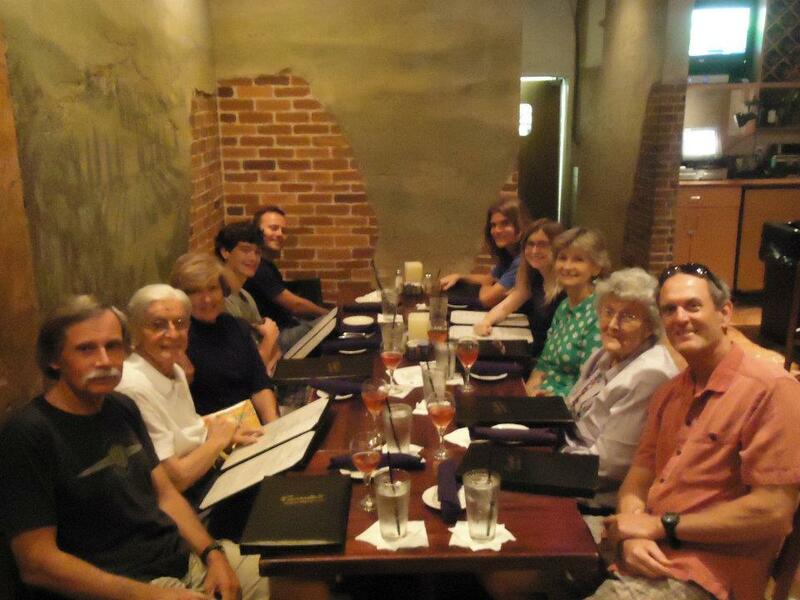 We all celebrated at a favorite restaurant where they know us from numerous family gatherings. Mom and dad used to frequent the place a lot til mom got wary of driving so far. Dad remembered the restaurant but didn’t remember the menu and had a difficult time choosing a meal. He finally settled on a shrimp combo but insisted it wasn’t what he ordered when it was presented. We talked him into trying one of the shrimp and he liked it (but ate only the shrimp). 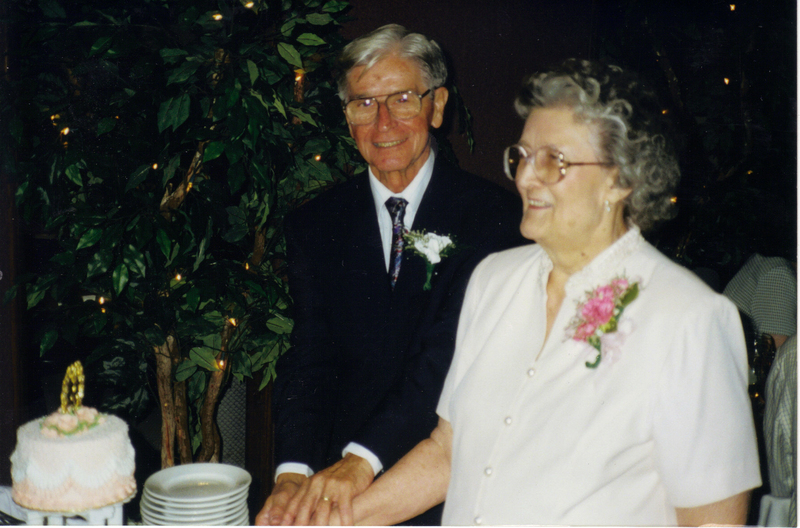 We featured a picture of them in 1947, the year they were married, on the first page, then ended the book with a picture in 1997 at their 50th anniversary. Looking back, we probably should have given him the photo book at home, without all the noise and hoopla at the restaurant. It was quite noisy and I think he was overstimulated by it all. Afterwards, when everyone was leaving and wishing him a happy birthday, he said he didn’t know why everyone was wishing him a happy birthday. Sometimes, I think these celebrations are for the benefit of those around the celebrant, especially when the birthday boy forgets it’s actually his day to shine.